We understand this unfortunate time. Take the stress out of getting to and from this tough occassion with professionally chauffeured transport. Reliable, discrete and respectful funeral transfers in sedans or stretch limousine hire cars. Losing a loved one is tragic. Our thoughts are with you in this difficult time. To help relieve some of the pressure of your funeral day we offer you our private limo transportation services. Our professional and discrete chauffeurs have experience with these emotionally draining days. It is our pleasure to support you with anything we can through this tough time. Allow us to take care of your transportation with our Funeral Limo services. With emotions running high the immediate family should not have to worry about driving. Leave the driving to us so that those most impacted can focus on paying their respects. 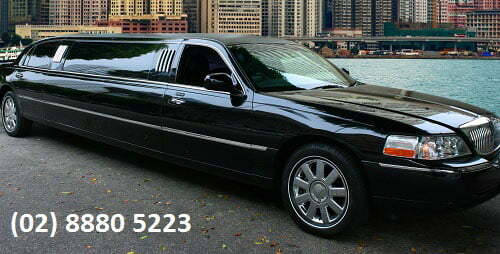 We have a large range of appropriate vehicles for funeral services in our Sydney limousine fleet. Depending on your group size you may choose to hire one or several black executive sedans or black stretch limousines. Attending a funeral is never easy. And organising one for a loved one is extremely difficult. Fortunately we can help. Often there are various events that are involved in the funeral day. The wake and funeral service may be held at a funeral home, church , cemetery or crematorium. Following this the guests are usually invited to a social gathering to continue paying their respects. This is normally held at a nearby club, function room or one of the families homes. By hiring a chauffeur to take care of the families transport they can focus on the day at hand. Our stretch limos are capable of transporting large groups in one vehicle and everyone is conveniently together. This allows the passengers to communicate in privacy and arrive at destinations at the same time. We pride ourselves on our high levels of customer service. We all understand the emotional strain that a funeral can put on guests and will try to relieve this by acting with courtesy and respect. Our well-presented drivers are uniformed in black suits and behave appropriately for the occasion. When you are in our vehicles you will benefit from the tinted windows so the public cannot see you grieve inside. This is perfect if you feel like hiding from the world. Our drivers are experienced with Sydney roads and peak traffic times and plan ahead accordingly. You can rely on us to get you between venues on time as we are very punctual. For anyone that was extremely close to the deceased the funeral service is going to be a difficult experience. Driving is not a good idea as the distractions that will be happening in their mind could cause an unexpected accident. Keep everyone safe by booking their travel with our chauffeured funeral limo service. We can transport them in a safe manner for sections of the day or the whole day if you choose. At these tragic times it is best to spend lots of time with close family and friends. The convenience of our stretch limousines is large groups can travel together. Also the limo cabin is intimate enough to comfort and support each other. In paying your respects remember all the great times that were shared between you and the deceased. This will ensure that your remembrance of them is held with positive thoughts. You need to let your emotions out to mourn and the best way to do so is in the company of close family and friends who are going through the same experience. These times are always challenging and we wish you all the best. Give us a call to discuss your plans and allow us to assist your funeral planning with a funeral limo service for this difficult day.